Help young children develop concepts about print, phonemic awareness, and early reading strategies. Big books and thematic units introduce great stories, printed text, and the reading process. 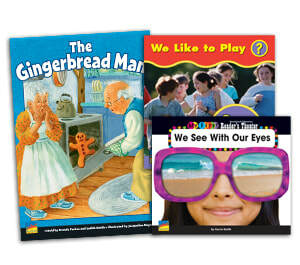 Student books enable beginning readers to expand their vocabulary and practice reading. Reader's Theater scripts engage children in learning about our language and world.